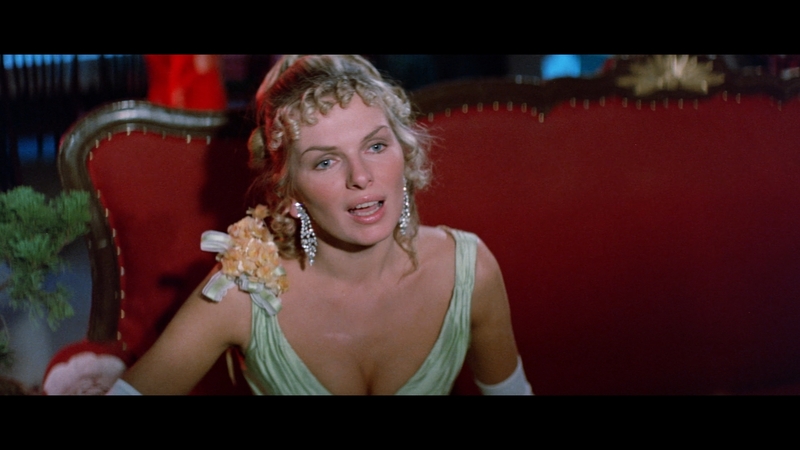 Color, 1974, 89 mins. 3 secs. /74 mins. 58 secs. The massive worldwide success of the major studio martial arts spectacle Enter the Dragon in 1973 produced a lot of speedy imitators, but few were as ambitious, colorful, or ill-fated as one the following year combining the forces of Hammer Film Productions and Shaw Brothers. 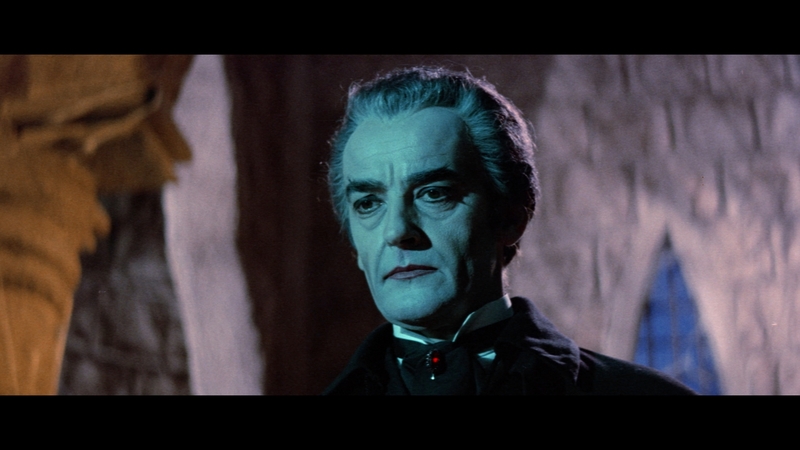 The last Hammer Dracula film as well as its final vampire outing in general, The Legend of the 7 Golden Vampires brought back Peter Cushing one more time as Van Helsing, with Christopher Lee bowing out after the fascinating and still undervalued The Satanic Rites of Dracula. That modern-day horror outing was seen as indicative of Hammer's steep decline when it was passed over for U.S. distribution and sat around until 1978 when it was released in a doctored version as Count Dracula and His Vampire Bride. A similar fate befell Golden Vampires, which was sold off to the same U.S. distributor, Dynamite, and released in a heavily butchered version as The 7 Brothers Meet Dracula. It was an ignominious way to wind down the ongoing relationship between Hammer and Warner Bros., but fortunately this film has since been circulated in its original form and can now be appreciated as a wild, entertaining genre mash up that anticipates the beloved wave of modernized Hong Kong horrors that would kick off a year later and continue with favorites like the Mr. Vampire series. 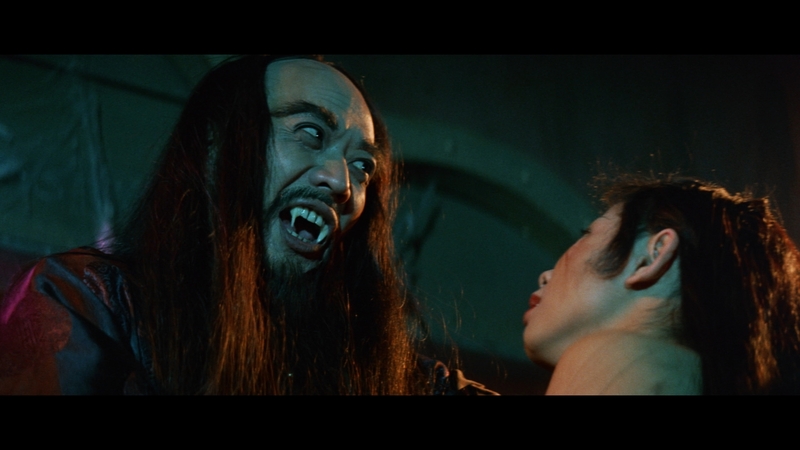 The action starts in "Transylvania 1804" as traveling monk Kah (Five Fingers of Death's Shen) arrives at the castle of Count Dracula (The Vampire Lovers' Forbes-Robertson) and summons the legendary vampire to help him empower the waning Temple of the Seven Golden Vampires back in China. 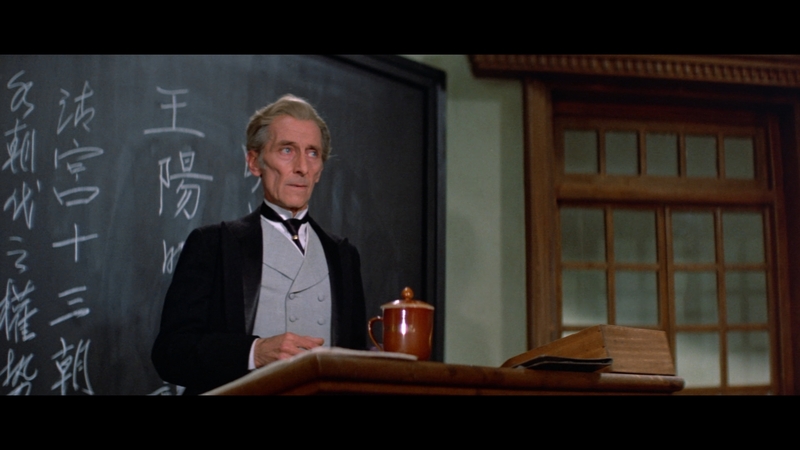 Dracula decides to take over his body and treks back on his mission to bolster the undead back East, which comes to a head almost a century later when Professor Van Helsing (Cushing) visits China for a lecture about the seven golden vampires, who were legendary for raising the dead and terrorizing a village. That tale is confirmed by Hsi Ching (The Wandering Swordsman's Chiang), who asks Van Helsing to help him and his seven siblings (all trained in martial arts) to go to the village and wipe out this pestilence. Van Helsing agrees and, along with his son Leyland (Pacific Banana's Stewart) and wealthy Norwegian baroness Vanessa (Creatures the World Forgot's Ege), embarks on a mission that will find them facing off against a relentless assault of vampire foes. 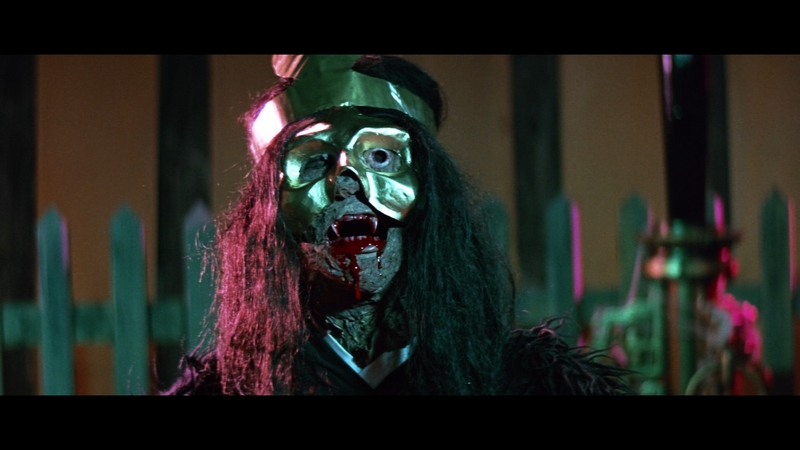 The mixture of Shaw Brothers action and Hammer horror sounds like something that shouldn't mix at all on paper, but the result here works surprisingly well with the hyper-saturated colors of the former adapting nicely to the sight of vampires running around in a period setting. 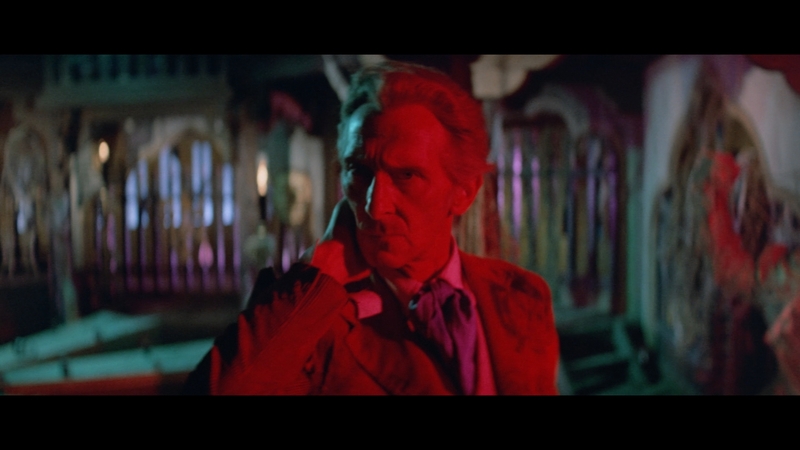 Cushing gives the strongest performance, not surprisingly, with his Van Helsing still doggedly committed to fighting the forces of darkness in any geographic locale; in fact, he's so good he compensates for some other underwhelming contributions, Ege in particular. 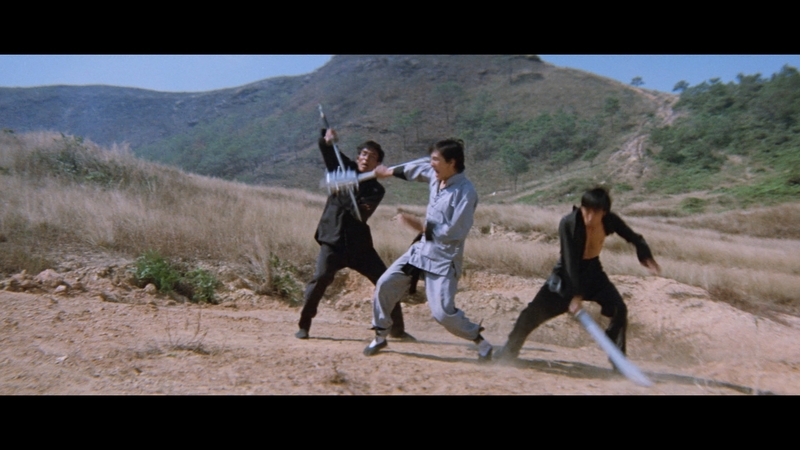 The action sequences (handled by uncredited director and Shaw Brothers legend Chang Cheh) are all nicely handled with skillful choreography in the scope frame, and the sight of masked vampires and skeletal minions parading through nocturnal fields in slow motion is an eerie touch that sets this one apart from the standard Dracula outing. On top of that you get another top-notch score by Hammer vet James Bernard, his last for the studio and one strong enough to earn a soundtrack LP release (with storybook-style narration by Cushing). The massacred U.S. edition of this film became a public domain mainstay on VHS throughout the '80s, with the first remotely acceptable edition finally coming from Anchor Bay on DVD and VHS in the late '90s. That edition was letterboxed but non-anamorphic and featured both cuts of the film, albeit with very weak picture quality including very boosted contrast and wonky colors. A better option came a couple of years later on U.K. DVD from Warner Bros., featuring a different anamorphic transfer and far better color modulation that made it the best option around for a very long time. Thankfully the inevitable Blu-ray release finally came along from Scream Factory in 2019, featuring both the uncut U.K. version and the messy U.S. one (the latter sporting some SD inserts for its exclusive footage including the heavily reworked opening titles). Anyone familiar with the history of the film should be delighted here as the vibrant colors look dead on and the detail is as strong as the lensing will allow, given that huge stretches of it take place in heavy darkness. The DTS-HD MA English mono audio (with optional English subtitles) is acceptable and again limited by the nature of the elements; it's not the most dynamic mono track in the world but it gets the job done. A very strong new audio commentary by Bruce G. Hallenback has been added, and he does a thorough, well-researched job of covering the many players involved with this film as well as another Hammer/Shaw Brothers production made on its heels, Shatter. A new video interview with Chiang, "When Hammer Met Shaw" (6m38s), is a warm recollection about the lessons he learned from Cushing on the shoot and the differences between U.K. and Hong Kong productions, while "Kung Fear" (19m39s) features author Rick Baker expounding on the many pleasures of the film as well as its value as a Hammer film under the guidance of credited director Roy Ward Baker (Asylum) with the joys of Shaw Brothers including its indelible use of sound effects. The U.K. and U.S. theatrical trailers are also included (the former in much better quality than the latter) along with a TV spot and a gallery (6m26s) of posters, stills, newspaper ads, and other odds and ends. Reviewed on April 15, 2019.